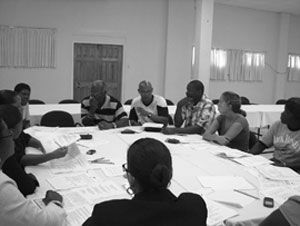 The petition is just one of the many recommendations which came out of the October 16, 2007, consultation among stakeholders, hosted by the St. Vincent and the Grenadines Human rights Association and the HIV NGO Network. Upon completion of the petition, the list of names and recommendations will be presented to Parliament, where the Network hopes discussions will be held and laws passed. Some of these recommendations include the protection from discrimination based on HIV status; especially in the workplace, prohibiting HIV testing for employment or promotion, and the making of the HIV /AIDS issue a part of the yearly budget. A letter has also been sent to this countryâs Attorney General, requesting endorsement of law ethics and human rights research recommendations concerning HIV/AIDS.